Napalm Records ha anunciado la firma de PHANTASMA, la nueva banda de rock sinfónico de Charlotte Wessels (DELAIN), Georg Neuhauser (SERENITY) y Oliver Philipps (EVERON). - Ltd Edition Earbook, Bonus Track, libreto de 48 paginias que incluye la novela "The Deviant Hearts" + 2 Bonus CDs incluyendo "The Deviant Hearts" un audiolibro leído por Charlotte Wessels. - Ltd Edition Digipack de seis páginas y Bonus Track - libreto de 100 paginas incluyendo la novela "The Deviant Hearts" y Digipack Sleeve. Napalm Records is proud to announce the signing of Phantasma, the new Symphonic Rock musical of Charlotte Wessels (Delain), Georg Neuhauser (Serenity) and Oliver Philipps (Everon). PHANTASMA was born from the longstanding ambition to create a story driven concept record of Georg Neuhauser, vocal force behind Tyrolean Symphonic Metal outfit Serenity. He found his partner in crime with multi-instrumentalist composer, producer and vocalist Oliver Philipps (Everon) who gladly embarked on this new mission that allowed him to reconnect with being a musician in the first place, as a welcome change from working for other bands, which he has done extensively over the years, providing the rich sound connoisseurs of the genre have come to expect from him. 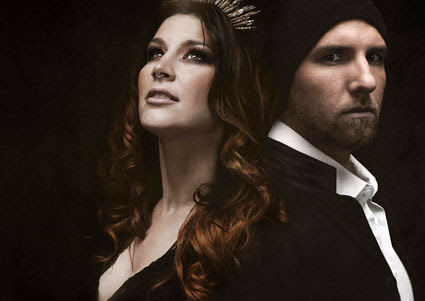 As Oliver worked with DELAIN since their debuting record, a request at Charlotte Wessels’ address was made to complete the dynamic trio of PHANTASMA. To introduce Charlotte Wessels to any connoisseur of Symphonic metal would be like carrying coals to Newcastle - she is, after all, since 2005 the vocal figurehead of Dutch grandees DELAIN. It is therefore not only surprising, but also gratifying that Charlotte now even found some leisure time, to lend not only her voice to PHANTASMA but also her debut novella “The Deviant Hearts” - which was written especially for the project. 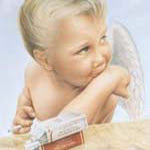 "We have truly enjoyed giving a shape, face and sound to "The Deviant Hearts". It was an inspiring and exciting process and we can not wait to share the result of our efforts with you through the upcoming release with Napalm Records." PHANTASMA: tema adelanto "Enter Dreamscape"